Chocolate ice-cream without any artificial flavouring. Chocolate is the most favourite flavour of ice-cream amongst the children. But kids don’t like to take milk and homemade ice-cream is an excellent way of feeding milk to your kids. Here is a very simple and easy recipe. Make this creamy chocolate ice-cream at home and enjoy the happy smile of your kid’s face. You don’t need much ingredients. Need only milk, sugar, little cornflour and a piece of dark chocolate. I have used Morde chocolate. Vacation time for children. So our bloghop team decided to make something kids special. 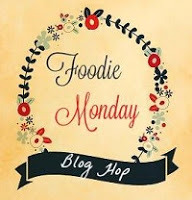 #Foodiemonday #bloghop theme is #kidsdelight. My contribution is kids favourite chocolate ice-cream or kulfi. If you want more creamy soft texture take it out from freezer after 7-8 hours. Churn in the blender,fold in 1/2 cup whipped cream and set it again. Boil the milk in a thick bottom pan. When its start boiling reduce the flame. Let it cook on low flame till it starts to change the colour. Stir occasionally and scrape the sides to avoid burning at the bottom. When the colour becomes light yellowish add the sugar. Mix well and let the sugar dissolve. Now mix cornflour in cold milk and pour in the reduced milk. Stir continuously. Cook until the mixture coat on the back of spoon. Switch off the flame and let it cool. Melt the chocolate piece on double boiler or in microwave. Mix melted chocolate in the milk mixture. Add vanilla essence and blend everything in a blender. Set in a airtight container or kulfi mould for 7 -8 hours or overnight. If you want more soft creamy texture take out after 6 -7 hours and churn the mixture well. Then fold in 1/2 cup whipped cream and set again. Your chocolate kulfi or ice-cream is ready. Serve with some chocolate sauce, chocochips or any nuts of your choice. Enjoy the summer vacation with easy cool chocolate ice-cream or kulfi. Vanilla ice-cream with milk topping or malai. I am sharing 100th post today. Thank you everyone for your support, encouragement and love. Hope you will like it. In this hot summer everyone is screaming for ice-cream. Make this creamy, soft and yummy vanilla ice-cream at home. A completely fuss free recipe. You don’t need any fancy ingredient. Need only milk, milk powder, milk topping or malai, sugar and vanilla essence. You have to reduce the milk only. Then simply blend all the ingredients and set in a freezer. Boil the milk in a heavy bottom pan. When it becomes to boil reduce the flame. Cook on simmer. Stir occasionally and scrap the sides. Cook until the milk stars to change it’s colour. It should be light yellowish. Add the sugar and let it dissolve. Whip the milk topping or malai till it becomes stiff. Blend the milk powder, vanilla essence and reduced milk in a blender. And fold in whipped milk topping or malai. Mix well. Set the mixture in freezer in high cooling. Set for 5-6 hours. Take it out and churn the mixture in blender. Set it again for 7-8 hours or overnight. Spread chocolate sauce in a ice-cream cup. Put vanilla ice-cream over it. Garnish with chocolate shaving or chocochips and enjoy. Watermelon cooler/mocktail with tulsi or holy basil, aloe vera, and lemon. A perfect drink to beat the heat in this scorching summer. Aloe vera, tulsi or holy basil and lemon made this Watermelon cooler super healthy and yummy too. Presenting a chilled, healthy and delicious summer cooler. Its detoxifying, support immune system, lower cholesterol and blood sugar. Its also excellent for digestion and an easy way to boost our vitamin and mineral intake. Benefits of aloe vera seem endless. The Sanskrit meaning of aloe vera is kumari which means princess for it’s ability to help you maintain youthful beauty and a healthy glow. So try to use little aloe vera gel in your daily diet. Holy basil or tulsi is one of the best medicinal herb. Its very effective in treatment of respiratory disorders, fever asthma, lung disorders, heart disease stress and many more. Lemon is well known for it’s weight loss aid because it’s juice is digestive and liver cleanser. Lemon contains strong antibacterial, antiviral and immune boosting power. So try this super healthy and delicious summer cooler to beat the heat. Some clicks by my daughter Suchismita Roy. Lovely isn’t it!! Deseed the watermelon cubes. Mix holy basil or tulsi leaves, aloe vera gel, black salt, lemon juice, water and black pepper. If you don’t like the hotness of pepper, add only 1/4 teaspoon black pepper powder. Place every ingredients in a blender and blend till everything mix well. Taste and adjust the salt and black pepper. Strain the mixture in a strainer. Your healthy yummy watermelon cooler/mocktail is ready. Take a glass and put some ice in it. Pour the watermelon cooler over the ice. Garnish with tulsi or holy basil leaves and watermelon scoop. Bhapa doi or steamed yogurt pudding. Bhapa doi or steamed yogurt is a delicious sweet dish of Bengal. A cheesecake like dessert. Normally Bhapa doi is made of milkmaid and hung curd. A very quick and easy recipe. I love it’s cheesecake like taste. But today I am sharing my easy to make recipe. You don’t need milkmaid for it. Need only milk powder, thick curd, powdered sugar and some flavour. I have used cardamom powder. You can use any flavour of your choice. Or use mango, strawberry or any fruit puree. Make it in microwave in muffins or cupcakes mould as I did. Or you can bake it in water bath. Or simply steam in a double boiler. Instead of muffins or cupcakes mould you can make it in a one large bowl too. Make it whenever you don’t find any sweet in fridge and want a quick dessert. Mix curd, milk powder and cardamom powder. Beat well. Make a paste like mixture without any lumps. Taste and add powdered sugar as require. Mix well and pour in invidual mould or in a large bowl. Microwave for 2 minutes on high power. If you find it little wobbly don’t worry it will set when you refrigerate. Garnish with saffron strands. Let it cool in microwave. Now keep in refrigerator for 2 hours or overnight. Oats Semolina chila or pancake. A powerpacked breakfast for the whole family. Oats and semolina both are healthy cereals. Both are low in calories and fiber rich. And oats is known as a super food. This post is going to be a part of #Foodiemonday #bloghop and this week’s theme is #Mother’sdayspecial. Challenge is we have to make a dish for our mom. My mother is no more. Missing her too much. But I would like to make this soft yummy and healthy protein rich breakfast for her if she was alive. Peel and grate the boiled potatoes and keep aside. Mix Semolina or suji, oats, rice flour, salt and beaten Curd in a large bowl. Add water gradually. Make a flowing batter. Keep aside for 10 -15 minutes. Now add chopped green chilli, coriander leaves, grated ginger,grated boiled potatoes and all the spices. You can add 1 chopped onion too. Mix well. Add more water if require. Heat a nonstick pan. Spread 2 serving spoon batter on the pan. Spread the batter with a spatula. Make a medium thick pancake. Spread as much possible. Spread 1/2 teaspoon oil over the pancake and little on the sides. Cook on medium heat. When it changes colour turn to cook other side. When both the sides are becomes light brown.Its ready to serve. Serve with any chutney or sauce. Enjoy the healthy and yummy breakfast with your kids.